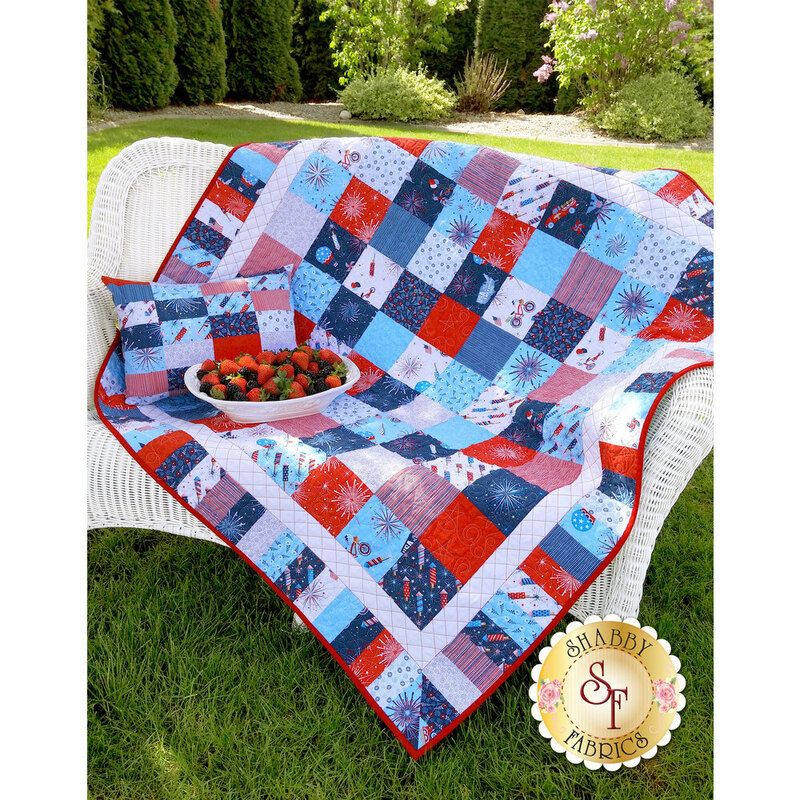 Picnic in style with the Parade On Main Quilt! 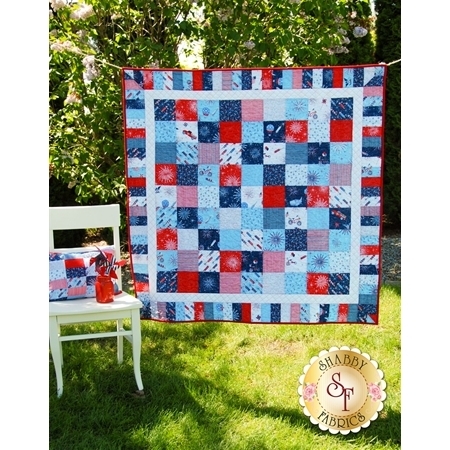 This fun and simple quilt is a Shabby Fabrics exclusive design and features easy piecing. 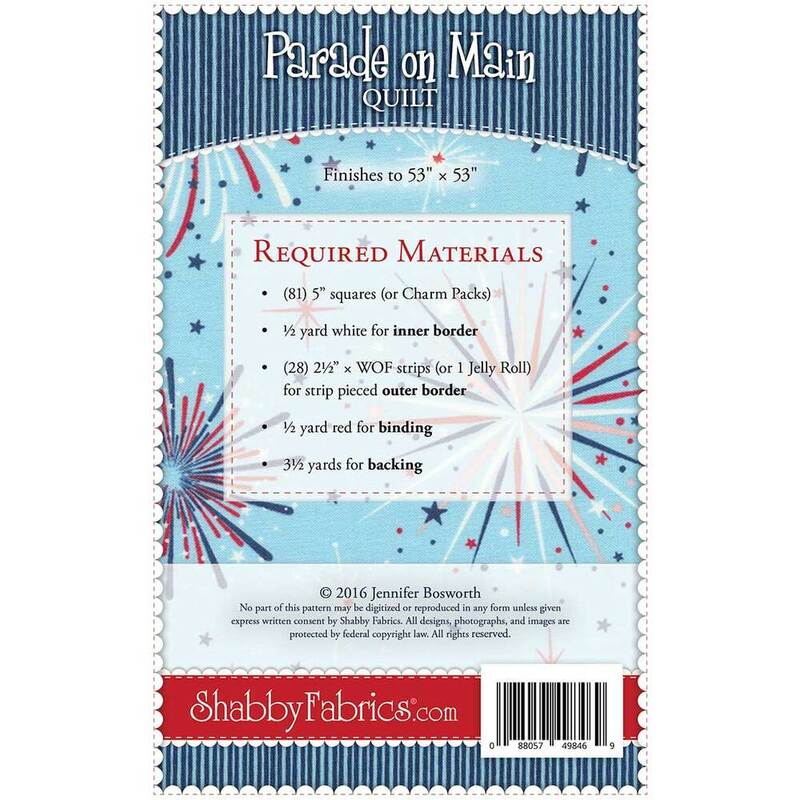 This is a great choice for all quilters - including beginners because it's quick and easy using pre-cut charm packs and jelly rolls! The finished size of this quilt measures at 53" x 53". The pattern includes all instructions and diagrams to complete the quilt.